BACK ON MARKET! 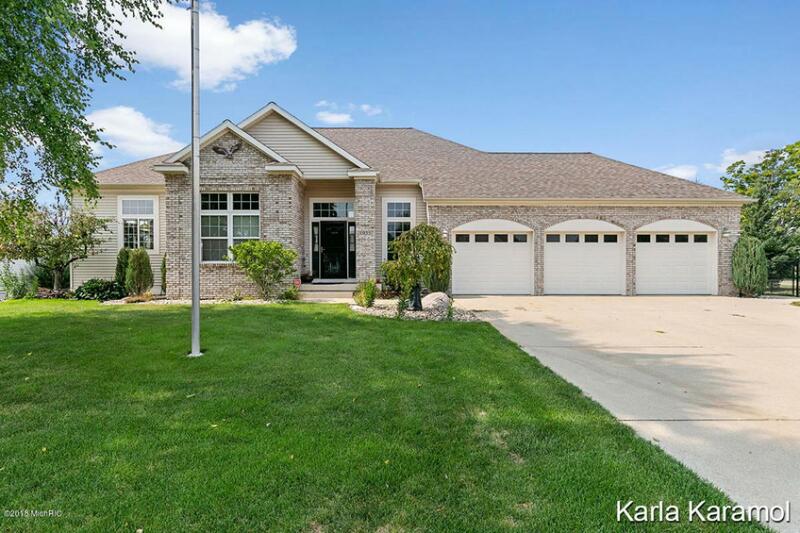 Welcome to this amazing former Parade home in Jenison schools. Beautiful daylight ranch with all the extras that you expect to find in a former parade home, including surround sound stereo, central vac, high end kitchen w/ 14 ft ceilings, brand new appliances, corian counter tops and more! There is a nicely appointed main floor master bath with walk in tile shower, and walk in closet. Living area has 24'ceilings and gas fireplace. Lower level has mini kitchen 2 beds 1 bath, finished family room and lots of storage. All on an over-sized, half acre lot. Entire home has just been professionally repainted and new flooring has been installed. Outside has a big fenced in yard and underground sprinkling.